1985-1988 Wat Thartthong School , Bangkok, Thailand. 1988-1991 Surasak Montri School , Bangkok , Thailand. 1992-1998 Faculty of Medicine, Chiangmai University, Chiangmai , Thailand. 1998-1999 Internship, Maharat Nakhon Chiangmai Hospital , Faculty of Medicine, Chiangmai University , Chiangmai , Thailand. 1999-2002 General Surgery Resident, Faculty of Medicine, Chiangmai University, Chiangmai, Thailand. July, 2002 Diploma of Thai Board of General Surgery. 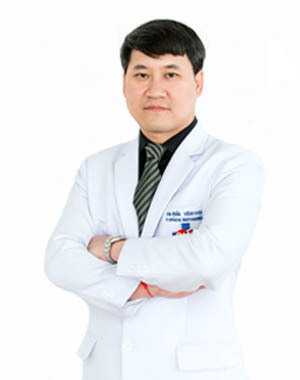 2002-2003 Consultant Surgeon , Kathumban Hospital ,Samutsakorn, Thailand. 2003-2008 Consultant Surgeon , Haribhunchai Hospital , Lumphoon, Thailand. 2008-2014 Consultant Surgeon , Mccormick Hospital , Chiangmai, Thailand. 2. The Royal College of Surgeons of Thailand. MON 06:00 - 13:00 น.
TUE 06:00 - 13:00 น. WED 06:00 - 16:00 น.
THU 06:00 - 16:00 น.
FRI 06:00 - 16:00 น.